My username is one I've been using on a few accounts. I originally made it because I liked Transformers (1st Gen) and I liked replacing the "H" in my name with an "X". My profile picture, on the other hand, is from an indie puzzle game called FEZ that has been one of the most difficult to 100% (I guess I should say 209.4%), so definitely give it a try if you like puzzle games. Also, most of my other accounts use PortalUserNoah as the username because of the game Portal. Also ALSO, I got back into playing an MMO called Spiral Knights recently, which I haven't played since some point in 2012-2013. I picked the name Lostglaceon for my new character which I hope people know what that's from. Sorry if that was a lot. EDIT: Just changed my profile picture to a character (who I will not spoil the name of) from Cave Story. Recreated it in Piskel, if anyone is curious. I have updated my profile picture. Let me know if you figure out what it means. Edit/Hint: A calculator or the toolchain is involved in one part of the decoding process. But I've no idea what this means. I made up "CerebralDatabank" when creating my Google account. I know a lot of random facts (and words, see https://cerebraldatabank.neocities.org/cool_webpages/sesquipedalianism.html), so my username means that my brain is a databank. My logo, the CerebralDatabank™ Perspective Cube™ is a cube viewed from a certain perspective. - The speed of light is 299,792,458 m/s. - The official definition of a meter is the length of the path travelled by light in a vacuum during a time interval of 1/299,792,458 of a second. - In any given second, 6 million people have pressed their spacebar. Since it takes about 1/10 of a second to press a spacebar, whenever you press your spacebar, 600,000 people also pressed their spacebar at the same time that you did. - The circular DC port found in cars is called a "cigarette lighter receptacle". - In most cases, printer ink is more expensive than human blood. - Q-Tips used to be called "Baby Gays" (and also dipped in boric acid). - Cap'n Crunch's full name is Horatio Magellan Crunch. - In Japan, there are vending machines for random girls' phone numbers. - "Triskaidekaphobia" is the fear of the number 13. - "Hippopotomonstrososesquipedaliophobia" is the fear of long words. - "Arachibutyrophobia" is the fear of peanut butter sticking to the roof of the mouth. - The official SI definition of the second is the duration of 9,192,631,770 periods of the radiation corresponding to the transition between the two hyperfine levels of the ground state of the cesium-133 atom. Ha! Didn't even think of that old game! 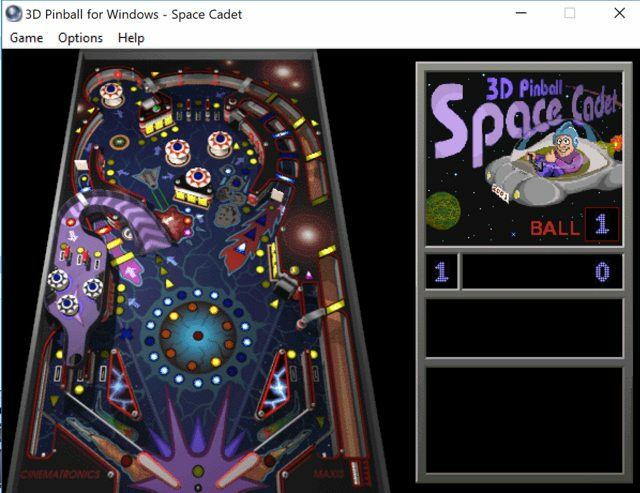 Oh, the memories of being bored in computer class. Fun Fact: I designed my avatar the day Trump announced the Space Force. I laughed at it, but of course deep down I want to join. © Copyright 2000-2019 Cemetech & Christopher Mitchell :: Page Execution Time: 0.180270 seconds.